MMA struck western civilization like wildfire by focusing on TV and youtube. Now there are more MMA gyms than 7 / 11s. Are you missing the main benefits of martial arts in daily life: Complete Self Defense & Conflict Resolution? Most important is to think before you act. Just because MMA is on TV doesn't mean it is the only or even best form of training. But what is the purpose of MMA and martial arts? Is it merely about a couple of dudes with tattoos going all out against each other in a cage? The first phase of this MMA revolution is introducing westerners. 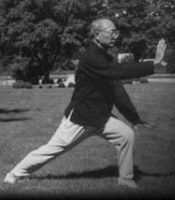 The second phase is about educating westerners on the meaning of the practice. Can an MMA Champ do This? Bruce Lee first introduced martial arts to the west by explaining that it is not about fighting. Martial arts training is a way of life. There was a definitive Asian mystique. 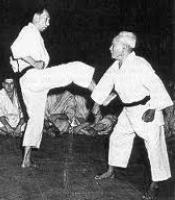 Helio Gracie, founder of Brazilian Jiu Jitsu was a promotional genius, using the TV circuit to westernize martial arts similar to boxing and professional wrestling. Although he was far from the martial arts genius of the founder of Aikido or Judo or even Bruce Lee for that matter, he was solid enough as a martial arts practitioner to plan more than just a cultural revolution for personal enrichment. Educating westerners on the profound benefits to health, character building and creating a positive and peaceful society was his endgame. MMA, as a form of extreme exercise, may not be recommended as a lifelong pursuit. 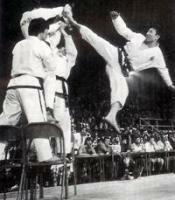 Traditional martial arts are better for both people past their athletic prime and children. In addition, they incorporate other practical elements such as defense against multiple attacks and weapons. Lastly, quality control for instruction is traditionally handled through lineage, which is largely missing in MMA. 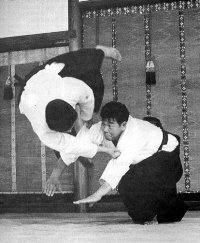 Our programs, Aikido and Tai Chi, do not have mainstream use in MMA competition because many techniques are illegal in competition. But they are excellent martial arts for health and life long exercise. 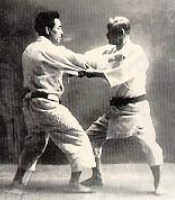 Aikido is also one of the best choices for children. They also focus training on elements of self defense largely ignored in MMA: defense against multiple attacks, armed attackers and multiple armed attackers (video). Our programs have a strong emphasis on mental discipline and building positive character. 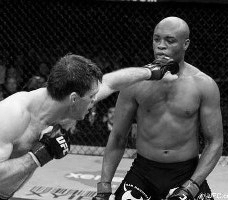 Training in MMA, if absent these qualities, will likely be a short term stint for fun or entertainment, but with little meaning or lasting value in your life. But one area of value from MMA is that we should find the means to accept martial arts fully into western culture so they become part of the fabric of our society. 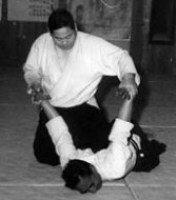 In Asian culture, martial arts training engenders great respect among the general public. Only by educating westerners on the profound benefits of martial arts, as opposed to 2 dudes with tattoos going at it in a cage, can we hope to impact our culture in an equally positive way.